Media captionYanny or laurel – what do you hear? And why? Think back to May and there was just one question which dominated the UK – can you hear Yanny or Laurel? An audio clip went viral which divided the internet into two camps. Now YouTube has revealed a video of the sound has made it into the top 10 most trending videos of 2018 in the UK. Other videos on the list include Paul McCartney taking part in Carpool Karaoke – which came in at number one – and a live stream of the Duke and Duchess of Sussex’s wedding. Of course, we all love an animal video so it’s not surprising a dog clip also made it into the top 10. Ariana Grande, YouTuber David Dobrik and videos from Britain’s Got Talent and America’s Got Talent featured on the list as well. In this video, James Corden visits Paul McCartney’s home city of Liverpool. The pair drive around visiting his childhood home and the Beatles singer performs sings in a local pub. As this is Carpool Karaoke, of course, Paul and James also drive around belting out some of his biggest hits. The video has had more than 35 million hits since June. It was one of the biggest events of the year and millions watched the Duke and Duchess of Sussex say “I do” in May. The Royal Family live streamed the ceremony and carriage procession – all two-and-a-half hours of it. The video has had more than 33 million hits since May. Who doesn’t appreciate a good love story? Did you know Prince Harry confessed he’d killed 1,693 giraffes during his wedding? It’s one of the lines in a video from the team behind the Bad Lip Reading YouTube channel. They showed clips of made-up conversations from the royal wedding re-imagining what the famous faces might have been saying to each other. Classic lines seemingly include Prince Harry asking Meghan whether she needed a pen and the Archbishop of Canterbury asking the couple who their favourite Harry Potter character was. British teen Courtney Hadwin walked onto the stage to audition for America’s Got Talent looking nervous. The judges – which included Mel B and Simon Cowell – were supposedly not prepared for what happened next. Courtney, now 14, launched into an energetic performance of Hard To Handle by Otis Reading. The crowd and the judges were wowed. Her performance earned her a place in the live finals after judge Howie Mandel pressed the golden buzzer. She ended up coming sixth place in the grand final. 5. 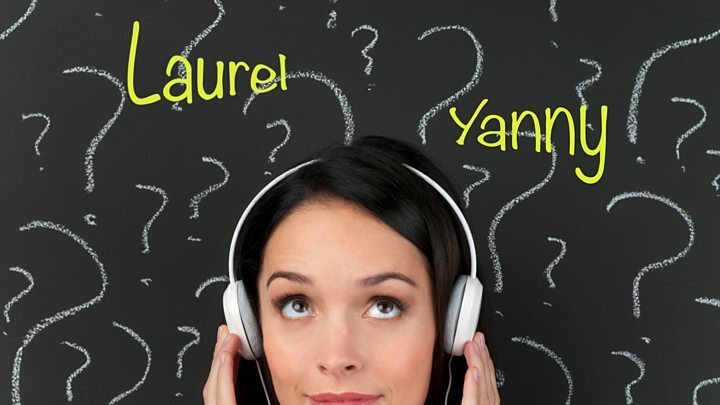 Yanny v Laurel video: Which name do you hear? Chrissy Teigen said it was Laurel but Stephen King insisted it was Yanny. And the difference in opinion was echoed across student halls, work offices and across social media back in May. The secret, it turns out, is frequency. The part of the sound that makes some people hear Yanny is higher frequency than that which makes some people hear Laurel. Lars Riecke, assistant professor of audition and cognitive neuroscience at Maastricht University, said at the time: “If you remove all the low frequencies, you hear yanny. If you remove the high frequencies, you hear laurel. Turns out the recording is from vocabulary.com and guess what… it’s saying Laurel. Susan Cadrecha, YouTube’s communications manager, says this year’s list shows that “being entertained” appears to be the UK’s top priority and the country “isn’t bored of debate”.